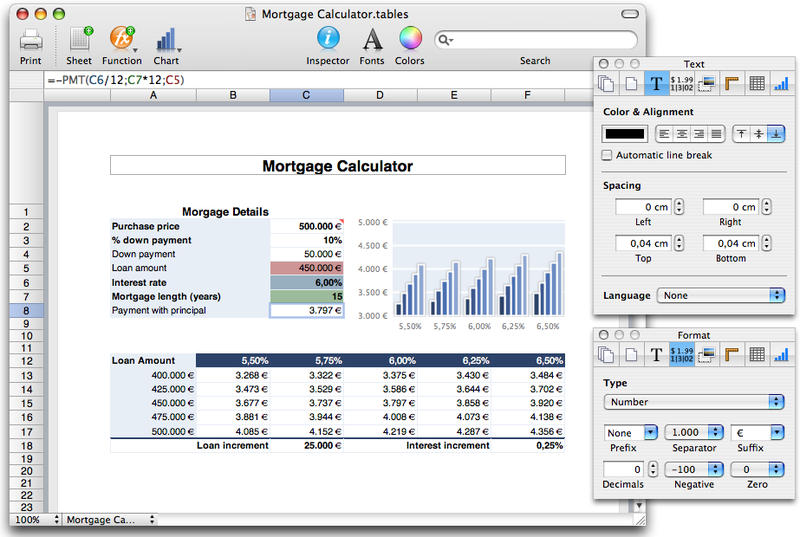 [prMac.com] Castrop-Rauxel, Germany - Daniel Schwill today announced the release of version 1.5 of Tables - The easy way to spreadsheets on Mac OS X. This version offers among other things the following new features: Improved import of documents in the OpenDocument format as well as a new exporter for the OpenDocument format, a new cell format for currency, a new region setting for the cell format and LinkBack support as a client application. Tables enables you to organize and present data very simply. With Tables you can not only organise data but also do calculations and comparisons with it. Add, sum or multiply numbers or process data by using more than 100 functions. Data can not only represent numbers but a date or an amount, too. Tables offers extensive options to format the data. Format them as currency, as an amount, as percentage rate, scientifically or with different date formats. Create visually attractive invoices, lists or reports and even add some photos, PDF documents or charts to present your data with great visual impact. Tables 1.5 requires Mac OS X "Tiger" version 10.4 or newer and is available for download Tables offers a full functional free 30-day trial. A licence can be purchased from the reseller Digital River GmbH (share-it!) for 29 EUR or approximately $39 USD (+ VAT if applicable). Tables 1.5 is available as a free update for all registered customers. New customers can receive 15% off by using the coupon code "tables15" when they purchase a Tables licence from March 18 till March 31.